It is with extreme sadness that we share the news of the tragic loss of Amit Sengupta on November 28, 2018. Amit has been a dear friend and comrade who will be greatly missed. He has been an inspiration to us all. 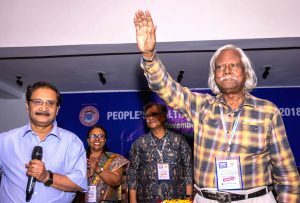 He was a magician who helped make PHA4 happen in Bangladesh the previous week – in spite of overwhelming challenges. Along with many others he must have been exhausted. He was celebrating his wedding anniversary with his family in Goa. 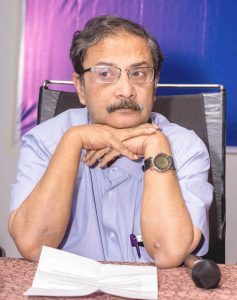 What distinguished Amit from other doctors and activists, said friend and Delhi Science Forum member Prabir Purkayastha, was how he combined the politics of medicine with the knowledge of medicine. ‘Amit wanted a real change in society and worked towards that. It was not wooly-eyed idealism,’ he said. Amit – you will always be our inspiration as we carry on with the struggle for health. We love you and will forever cherish and propagate what you have taught us. We will surely miss you.